Drawing on botanical references and a passion for structural simplicity, the Candelabra combines deft observation with engineering elegance. It achieves a playful balance between symmetry and asymmetry. The stainless steel ‘fronds’ of each Candelabra invite personal arrangement beyond the final design; as well as moving up and down the stem, each frond can be horizontally rotated a full 360 degrees, resulting in a refreshingly contemporary twist on an intimate lighting structure. 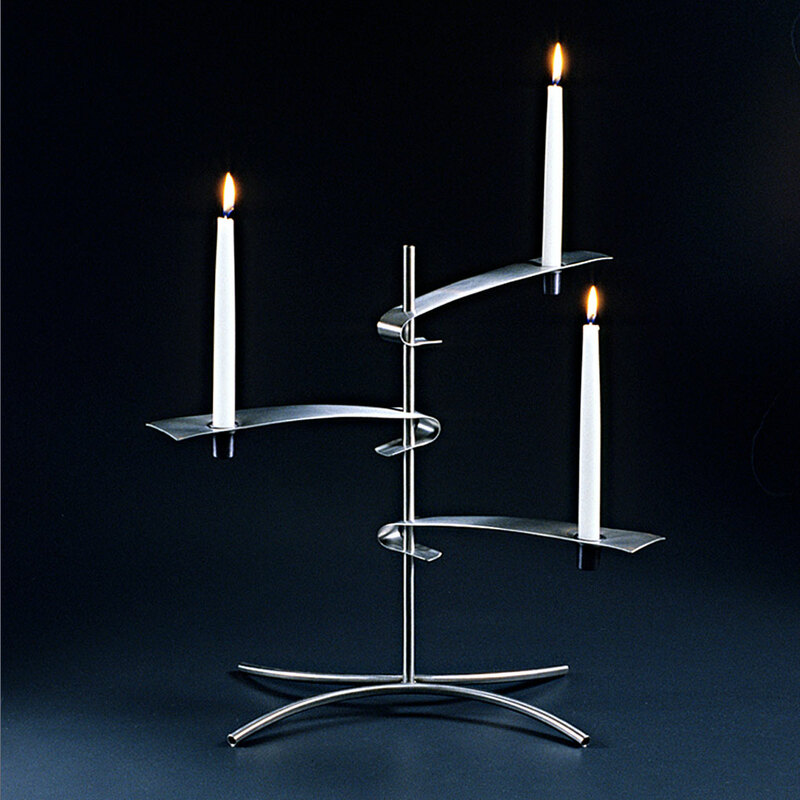 The Candelabra is fabricated in mirror-polished stainless steel and comes complete with two fronds and two white candles. Each Candelabra accommodates up to seven fronds and additional fronds are sold separately.